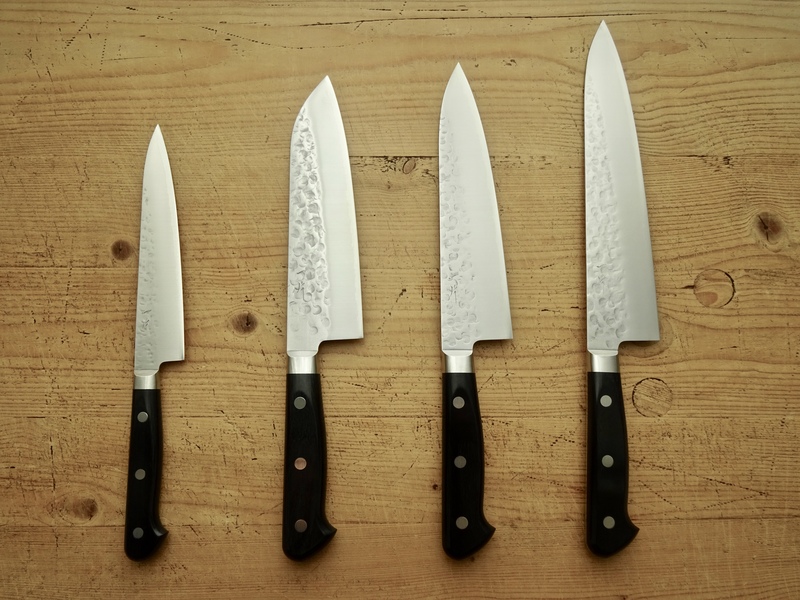 Home Page The finest Japanese kitchen knife store in London. Professional sharpening services and sharpening classes. 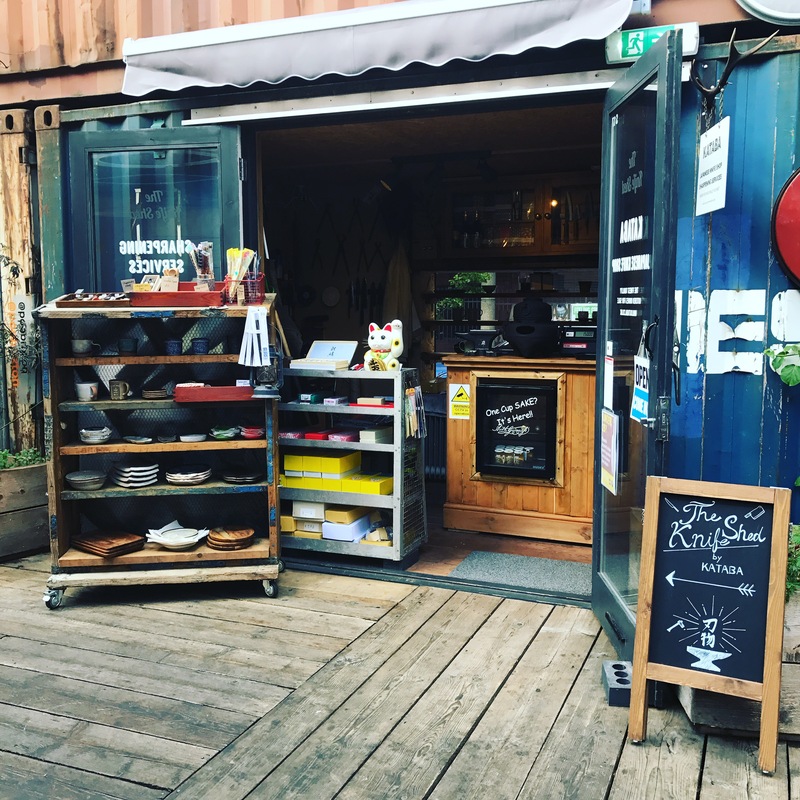 Welcome to the Knife Shed – kataba.co.uk’s store and workshop at POP Brixton market, London. We have a superb range of the finest Japanese cooking knives, from some of the best craftsmen in Japan. To help maintain your knife with the utmost sharpness we offer professional sharpening services, Japanese whetstones and sharpening classes. We pride ourselves in delivering the best customer service and aftersales care. 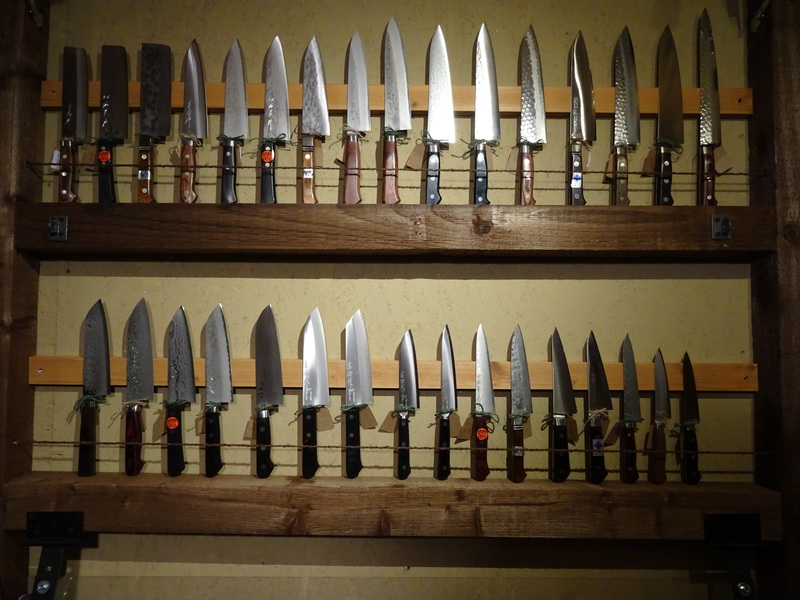 Our small business is built on our passion for cooking, Japanese cutlery and sharpening. We endeavour to guide our customers towards buying the most suitable knife for their requirements, not the most expensive blade available. We have a responsibility to the Artisans that craft these knives to ensure their wares and methods are properly explained; generally speaking the more specialised the knife, the more it requires from the end user to be able to use and maintain it properly. Building a relationship of trust with every customer is paramount to our success, we are very fortunate that many people that buy from us come back in the future and for this we are extremely grateful. The knife is the chef’s most important tool, holding the key to great flavour; the sharpness of the knife has a huge effect on the taste of ingredients. 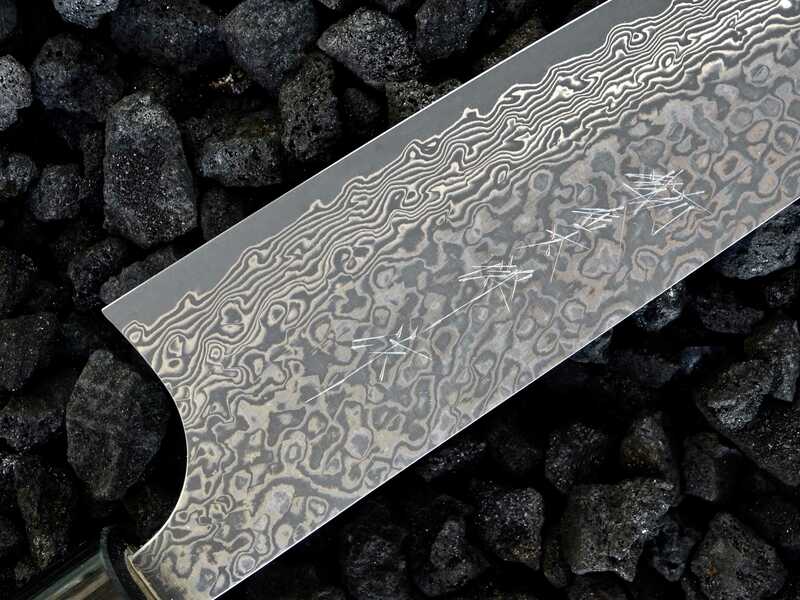 Knife-making is a traditional craft in Japan with a history spanning more than a thousand years. However, as some of the master craftsmen are retiring (often in their 70s or 80s) without apprentices to pass on their skills and experience to, traditional handmade knives are becoming rarer and rarer. Japanese kitchen and chefs’ knives are known by chefs and cooking enthusiasts all over the world for their high quality and cutting ability. 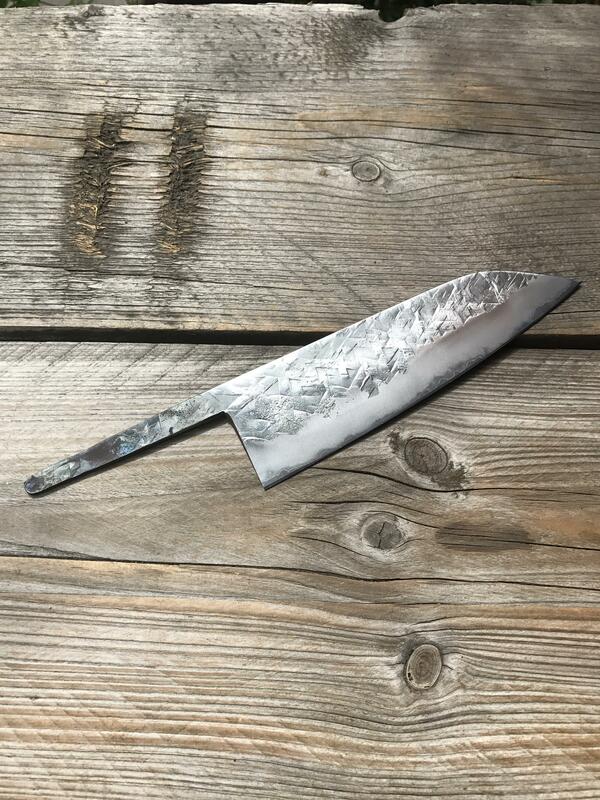 Through the Knife Shed and our online knife store Kataba.co.uk we would like to introduce even finer, genuine handmade knives, crafted by Japanese master bladesmiths, to people who will respect and look after their knife. We are dedicated to providing excellent knives and helping you get the most out of them. For this reason we offer a range of aftercare services; including first sharpening free, repairing chips, handle changing and balancing*. The Knife Shed/Kataba’s mission is to provide knives of the most excellent cutting ability and usability at reasonable prices. We provide expert advice to help you choose your Japanese knife, feel free to pop into our shop to chat about what you are looking for. **Please note, we offer handle changing on Japanese traditional knives only. Visit our workshop @POP BRIXTON, we promise you will enjoy finding the most suitable Japanese kitchen knife or other culinary bits & bobs for you. You can also bring along any knives from your kitchen or your chef’s knife roll for our professional sharpening services. You can relax with a drink or something to eat in the market while we sharpen your knives or of course return later. Western Style Knife (double bevel) e.g.. Chef's knife, Santoku, Boning, Carving, Nakiri, Petty knife etc. 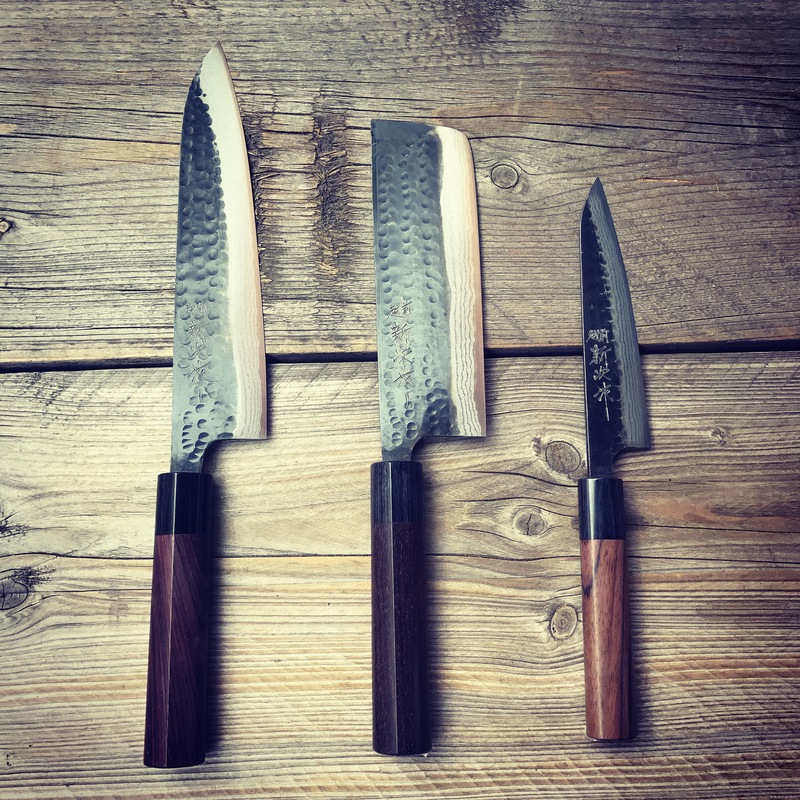 Japanese traditional Knife (single bevel) e.g.. Yanagiba, Usuba, Deba, Takohiki ..
Group and private class vouchers are available through our website https://kataba.co.uk/categories/sharpening-stones/sharpening-classes.html, these vouchers are valid for 6 months. Once purchased we take bookings for all our classes instore over the phone, the contact number for our shop is 07380609900. Please make sure your knife or knives must well protected followed by: each knife wrapped by news paper or cloth and put in to carry bag. Never open or cause to happen your knife out of wrapping material or carry bag during your travel and at any public. It's your full responsibility to avoid any risk and accidents.